A defiant Claude Puel insisted that he has 'nothing to prove' after guiding his Leicester City side to a stunning 0-1 victory away to Chelsea in the Premier League on Saturday. 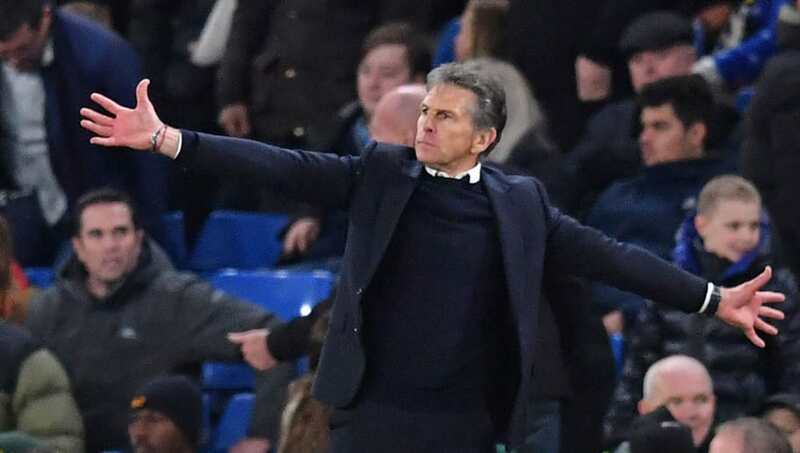 Puel’s position as Leicester boss had come under intense scrutiny ahead of kickoff at Stamford Bridge, with ​reports suggesting that the Frenchman was on the brink of losing his job at the King Power Stadium. However, after ​Jamie Vardy fired the Foxes to victory over ​Chelsea on Saturday, Puel insisted (via the ​Daily Mail): “I have nothing to justify. When prompted on whether the team’s performance was a showing of support for their manager, Puel responded: “I have no comment about this. “I made my work. It’s not all the time easy. But, all the time, it’s important to analyse the games and not just to look at the ranking in the table. “If we analyse it since the beginning of the season, we’ve had fantastic games and performances sometimes without consistency. “If Chelsea didn’t perform in all the game today, I think my players were responsible. We came back in the second half with better quality on the ball. ​Leicester will be looking to follow up their stunning victory at Stamford Bridge as Puel’s side face another huge test in the Premier League at home to champions ​Manchester City on Boxing Day.